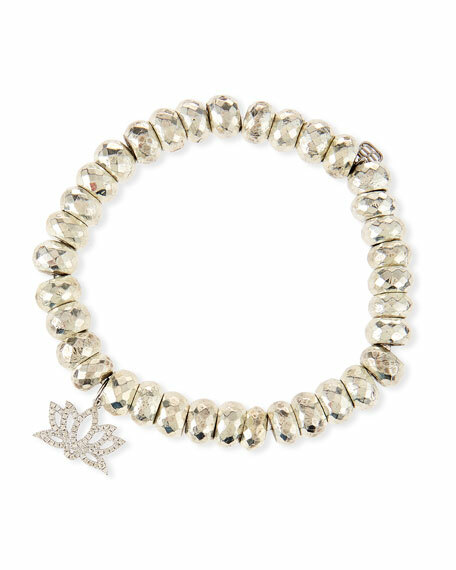 Sydney Evan beaded bracelet with lotus charm. Polished 14k gold hardware, charm and settings. 8mm metallic pyrite rondelle beads. For in-store inquiries, use sku #2357221.